The BMW R1150GS Adventure is far better than it has any right to be. 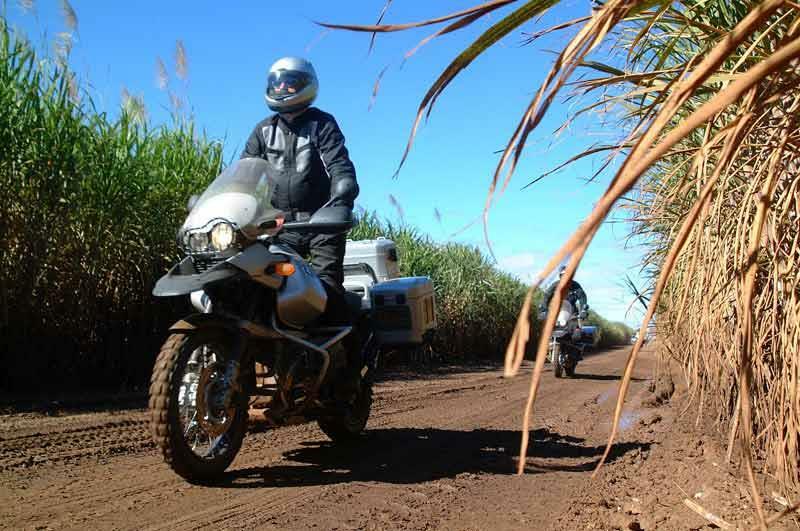 The BMW R1150GS Adventure is a tall, heavy and ungainly version of the already tall and beefy BMW R1150GS – but once you bin the standard equipment knobbly tyres it’s a great road motorcycle with neutral (if hefty) handling and superb long distance ride and comfort. 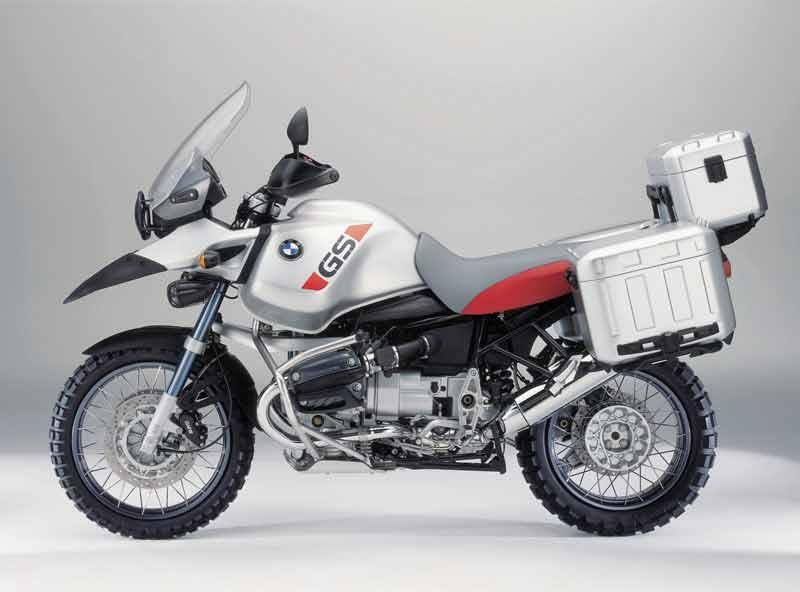 The BMW R1150GS Adventure has since overshadowed by the newer, 110bhp BMW R1200GS, this version of BMW’s venerable boxer twin all-round motorcycle is able and bulletproof – if a little on the soft side power-wise. 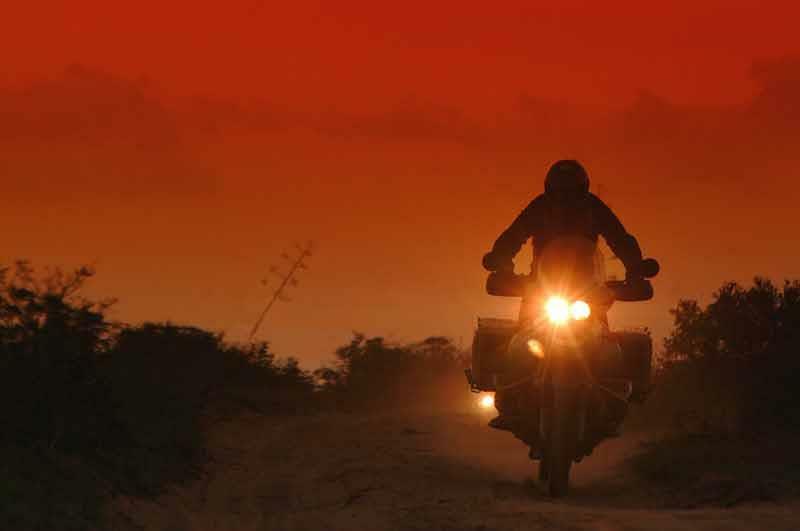 But for peace of mind, not many motorcycles come close to a BMW R1150GS Adventure. 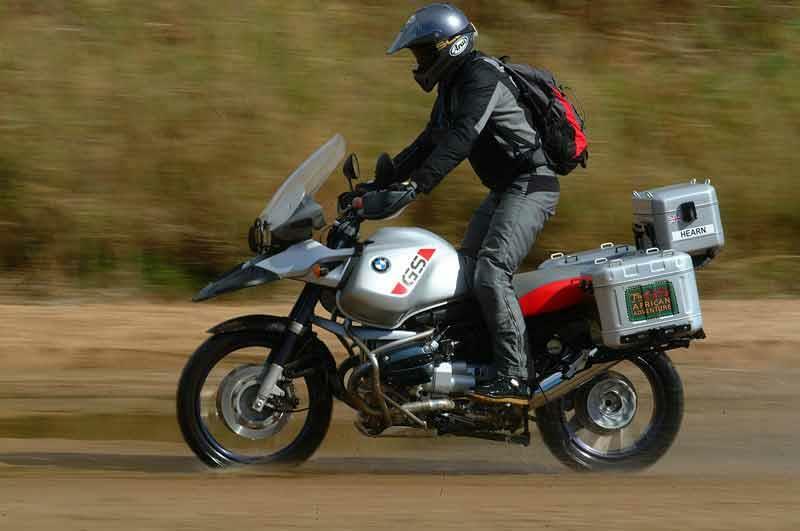 The BMW R1150GS Adventure was Range Rover money when new (well over £10K fully BMW R1200GS (which some don’t rate as highly) they’re still in demand now which limits depreciation on this motorcycle. 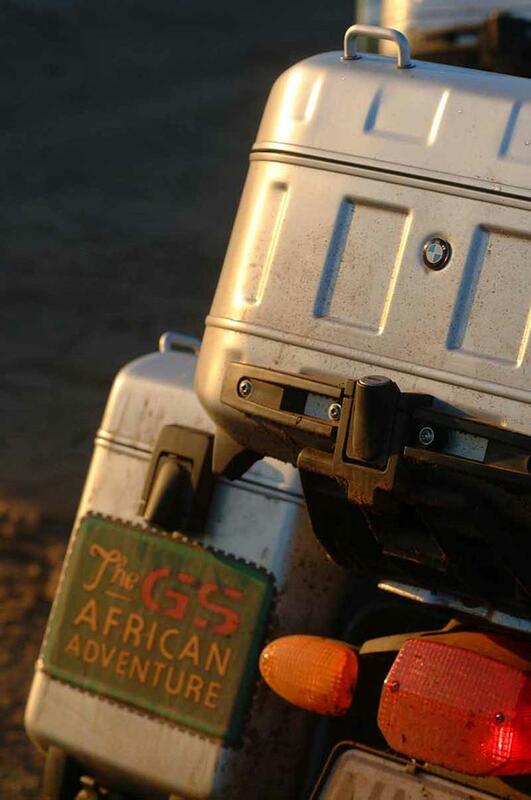 Find a BMW R1150GS Adventure for sale. 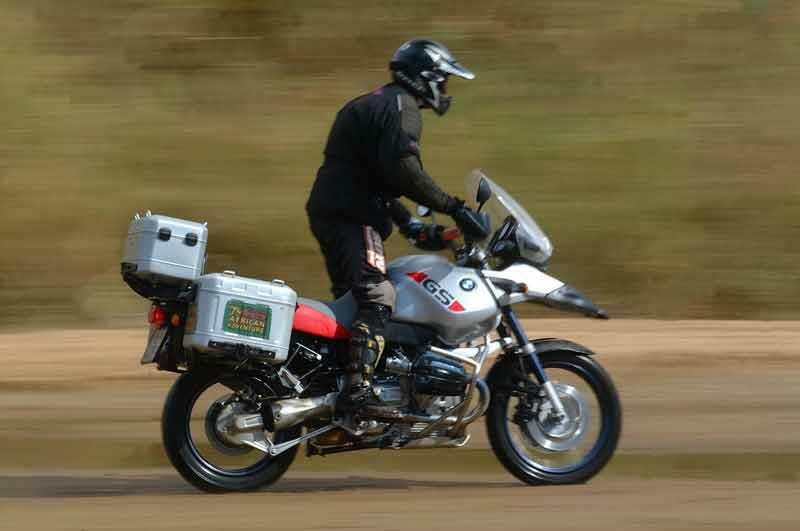 The BMW R1150GS Adventure has everything including the kitchen sink. Well, almost. Compared to the stock BMW R1150GS, the BMW R1150GS Adventure gets a bigger tank, knobbly tyres, taller screen and jacked up suspension. 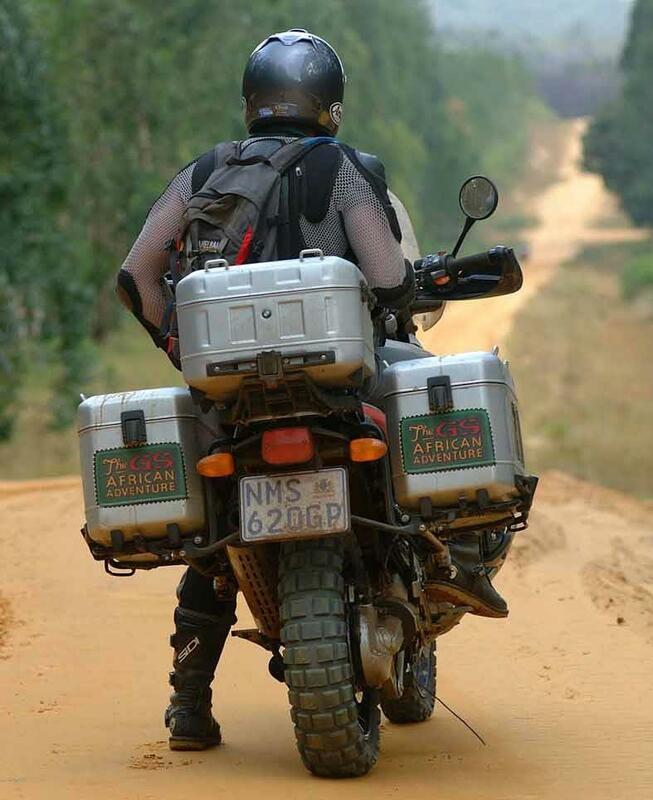 Other goodies (like the metal panniers and top box, engine guards etc) are extras on this motorcycle – but definitely recommended if you want the full monty Camel Trophy Land Rover look for your motorcycle. 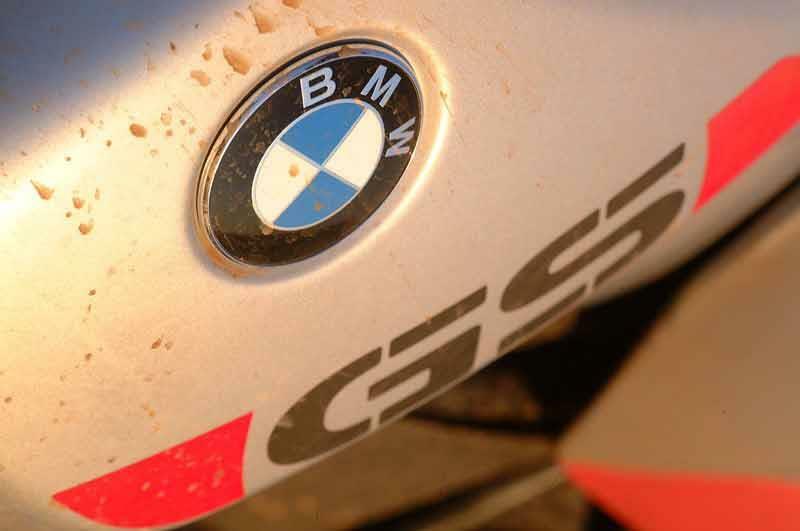 Compare and buy parts for the BMW R1150GS Adventure in the MCN Shop. 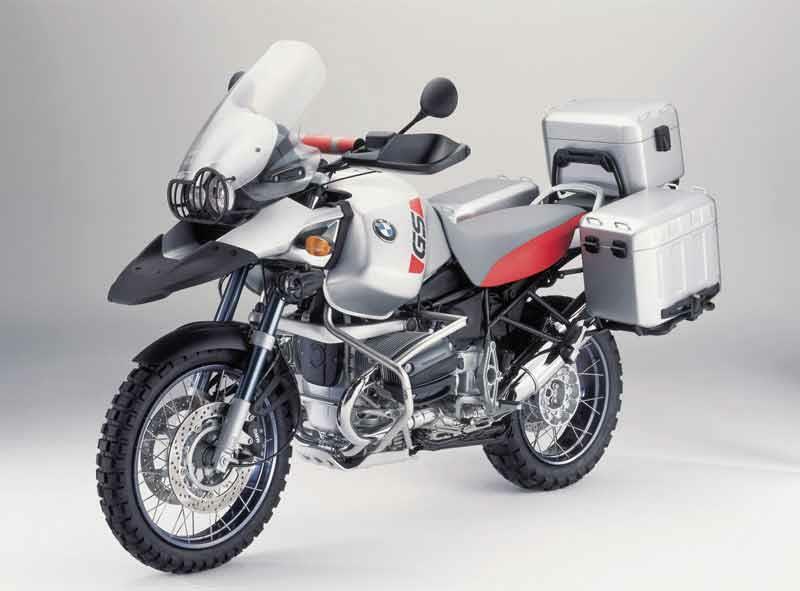 2002: BMW R1150GS Adventure model introduced. 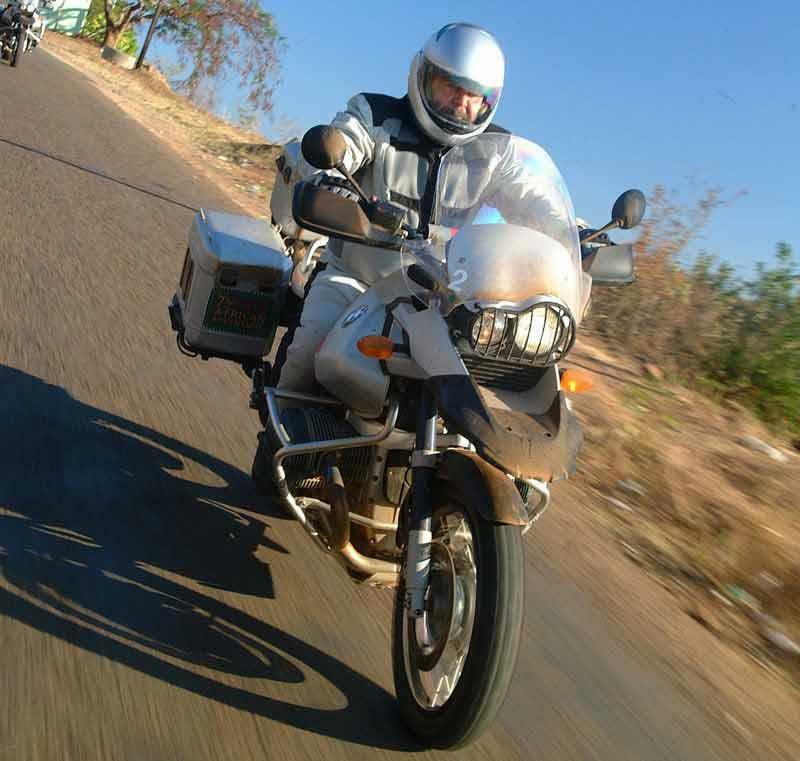 2005: BMW R1150GS Adventure model discontinued. 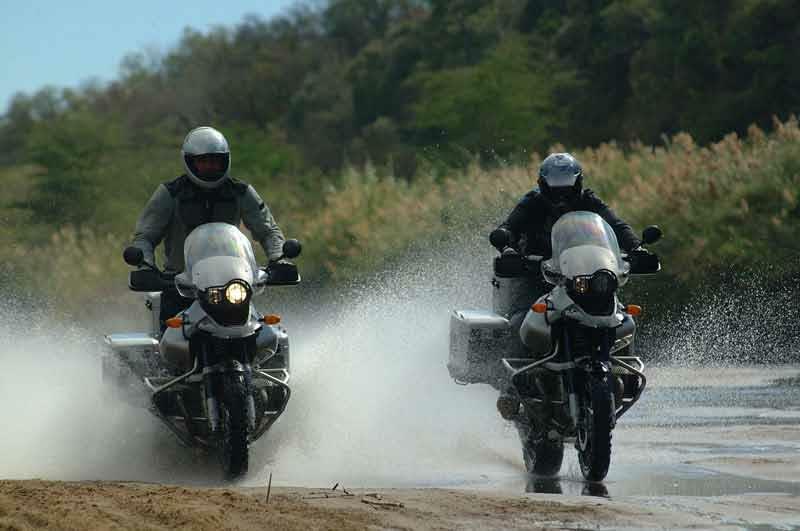 4 owners have reviewed their BMW R1150GS ADVENTURE (2002-2005) and rated it in a number of areas. Read what they have to say and what they like and dislike about the bike below. I forgot to mention that the fuel economy is outstanding. I just got 550km from the last tank of juice before the fuel light came on, which has another 40km in reserve... which is welcome in comparison to the TL1000S I just traded in which got barely 200km before it ran out of fuel. The brakes are unbelievably good, it just takes a bit of getting used to the servo assisted brake motor sounds. This bike had already ridden 56,000km and the BMW dealer assured me that these Adventure models run to about 300,000 km before needing an engine rebuild... they also gave me a 2 year guarantee which adds credibility to this claim. The bike was in tip top condition and will remain so. Wrapped to say the least. Just bought my first BMW after 7 Suzukis and am totally schocked how well this bike handles... better than any other bike I've ever ridden. It's deceivingly agile for a bike that in a stationary position appears to weigh quite a lot. But, get going and you don't notice it one bit. This bike is so perfectly balanced it goes through hairpins and tight corners faster than most R1 riders can manage. Rough roads are eaten up by this bike... you can take it over anything and still ride it fast. It goes off road and through the mud also, just keep the momentum going and try not to stop as this is where you will notice this bikes kilos. Probably not my preferred bike for the autobahn (this is where I would prefer the Hayabusa) but it does most things with exceptional poise. If you love corners and touring, then it's absolutely fantastic. Heated grips, big screen, big protective cylinder bars which you can rest your legs on for that lounge chair feeling, ABS, the list goes on. OK the motor could use a few more PS but what you get as an overall package can't be beaten. Acessories are damn expensive, so if you're in the market for a used one then find one with all the extras on it like a Remus exhaust system and alu panniers. These are really expensive... even used ones which you'll see on eBay. The motor does use oil and it's best to check after your ride when hot... but all boxer motors use oil I'm told. 9/10 thumbs up! 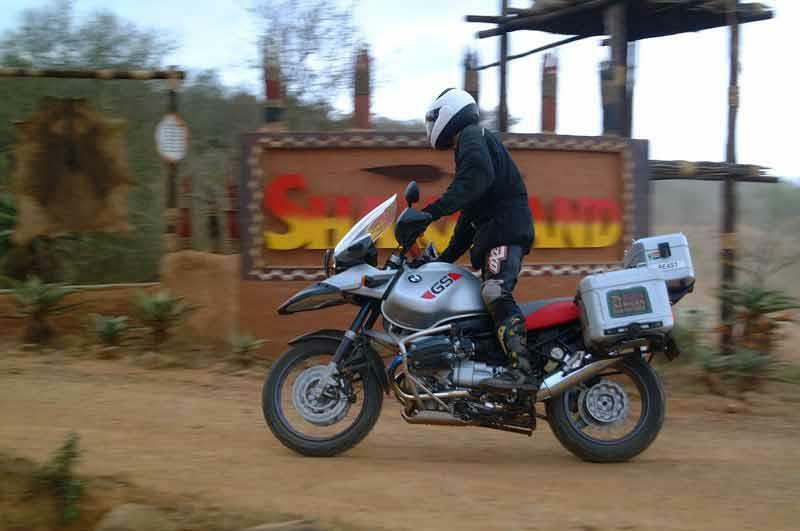 I had a 1150GS adventure before and I sold it to get the new model. what a mistake ! I am currently on the hunt for a mint 1150GS adventure again as the bike is better made, has more torque down low (if you fit the y piece and a remus) and handles better with a more front oriented bias. Also has less plastic than the 1200GS, stronger battery anad an overall better package.